February is already here, and you know what that means? Valentine’s Day—a wonderful excuse to shower those you love with extra attention. Wedding Planner Rhiannon Bosse shares a few gift ideas just in time for that special day. For less than $20.00 and with only one stop to your local Target, gift your best friend or sister with sweet items you know she'll love and use. I lean towards a new journal or notebook for to-do lists, a tried and true lip balm, cute pink pencils, a couple bitesize chocolates, and of course a sweet card. A festive gold foil gift bag and soft pink tissue is sure to pack a lasting punch. 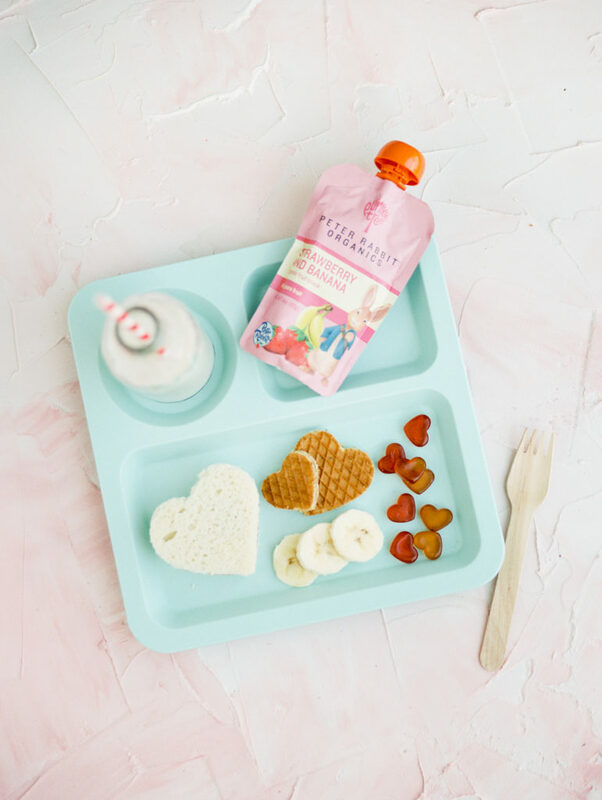 For your kiddos, instead of a new toy or book that won't get used, consider making their Valentine's Day breakfast or lunch festive and special. Use different sized heart-shaped cookie cutters to make a meal full of cheer and love. Sandwiches, waffles, cheese and meat slices, and even some fruits hold their shape well when cut. Alternatively, you may also be able to find a lot of your go-to items offering limited edition Valentine's Day products like heart shaped fruit snacks (a favorite in our home). A Valentine’s note placed next to the meal is the perfect end touch. For your significant other or spouse, next time you're at Starbucks grab some inexpensive treats and items that won't get thrown in the back of the junk drawer. For my husband who loves new food and drink options, I picked up a $5.00 gift card, a new Teavana bottle of tea, and a Swell bottle for his coffee on his long drives to work. The rest of the items were scores from Target including a big bag of mini Kit Kats (rewrapped in a glassine bag), a Things I Love About You book with my thoughtful messages penned inside, and an adorable heart shaped hat box. Guest Contributor: Rhiannon believes in the power of celebration. She has helped thousands around the world plan weddings and toast other milestones with distinct blend of class and joy. Her fantastic work prompted VOGUE Magazine to name her a top world wedding planner. Photo credit Samantha James Photography.